1. Kellerer, A.M. The theory of dual radiation action / A.M. Kellerer, H.H. Rossi // Curr. Topics Radiat. Res. Quart. – 1972. – V. 8. – Р. 85–158. 2. Gunther, K. Microdosimetric Approach to Cell Survival in Dependence on Radiation Quality / K. Gunther, W. Schulz, W. Lester // Studia Biophysica. – 1977. – V. 61. – P. 163. 3. Gubin, A.T. Sravnitelnyj analiz matematicheskix modelej vliyaniya kachestva izlucheniya na biologicheskuyu effektivnost / A.T. Gubin [et al.] // Voprosy biologicheskogo dejstviya i dozimetriya tyazhyolyx zaryazhennyx chastic vysokoj energii. – Pushhino, 1984. – S. 161–175. 4. 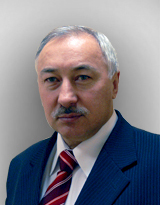 Gubin, A.T. Obobshhyonnaya kineticheskaya model radiacionnogo porazheniya kletki / A.T. Gubin, Yu.L. Minaev, V.A. Sakovich // Biofizicheskie osnovy dejstviya kosmicheskoj radiacii i izlucheniya uskoritelej. – L.: Nauka, 1989. – 255 s.
5. Ivanov, V.I. Spravochnoe rukovodstvo po mikrodozimetrii / V.I. Ivanov, V.N. Lyscov, A.T. Gubin ; pod obshh. red. V.I. Ivanova. – M.: Energoatomizdat, 1986. –184 s.